Essentially I partner with horses as teachers, because they're so amazing at helping us to see ourselves, and the situations we find ourselves in, with a lot more clarity. Equus Coaching™can help you in any area of your life – including careers, finance, relationships, team dynamics, parenting, it can help with leadership skills, achieving goals, and gaining confidence – just to name a few. Whatever’s going on for you that feels like it could be better, can be addressed with this kind of work. Equus coaching™is an experience you have, which can enable you to see yourself and what’s going on in a much clearer way. It helps you to understand exactly what’s not working, why it’s not working, and how to create change in your life, so that you can walk out of a session knowing exactly what to do next – to create a life that feels more balanced, and more aligned with your dreams, desires and expectations. You choose the direction and content of the sessions by clearly setting your intentions and goals at the beginning of our time together, it may be that you want to have more success in the work place, or perhaps you would like to see a shift in a personal or intimate relationship, it might be you’d like to feel more confident, or maybe you feel frustrated with your kids and don’t know how to get through to them…..whatever it is the horses will take you where you need to go. They instinctually know what to do and how to do it in a way that sets you up for change and success. In 2011 I began my training and apprenticeship with Koelle Simpson in the United States. I am now an Certified Equus Coach™ and Master Facilitator, practicing in New Zealand. Horses have clear and natural herd instincts, and horse herds have a natural flow of leadership which evolves based on each horse’s unique abilities. So when you step into a round pen with a horse, the horse will quickly sense what your strengths and weaknesses are. When you become truly aligned with yourself, your goals, your intentions, what you'd like to communicate and how you'd like to express yourself in the world - then you'll have the horses trust and respect. Horses are amazing, they're not judgmental, but they do reflect back to us the patterns we live by and create. Once we can work out how to make changes in ourselves that impact the relationship we have with the horse, then we can begin to implement those same changes in the real world. Other Locations in NZ maybe possible – get in touch with me to find out more. On a personal note, if you're feeling nervous or scared of the horses, that’s ok. I was scared of horses too, I get it. This is a chance to face your fears so you can feel freedom – if you're concerned, please contact me first and talk through any worries or issues you may have. 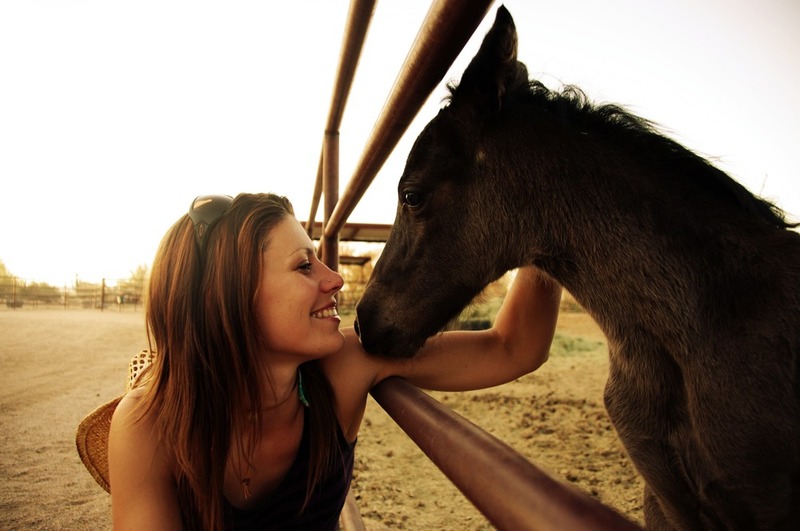 1:1 EQUUS COACHING™ PRIVATE SESSIONS WITH HORSES. This is an opportunity to practice Equus Coaching™ with a friend, partner, family member or colleague. There's a lot of value in sharing this experience with someone else, as you're able to see each other through the horses eyes, you also will have someone to help you integrate and share with afterwards, and it can really strengthen and build on your relationship. - 2 hours, taking turns, working with a horse. Sometimes it feels better to come out an play with a horse for a short amount of time, on your own and really spend that time learning about yourself. - 90 minutes of you + me + a horse. I also facilitate larger groups, and work with corporate teams. Contact me to discuss what your group needs or desires are, and we can create a package just for you. Also be sure to let me know ahead of time if you have specific or special dietary requirements. If you’re interested in setting up a session, please contact me by filling out the form below or give me a call 021.502.104 for details and options. If you’d like to be the first to hear about upcoming events and opportunities, you can subscribe to my mailing list, or stay up to date with me on facebook. I’d love to connect with you.